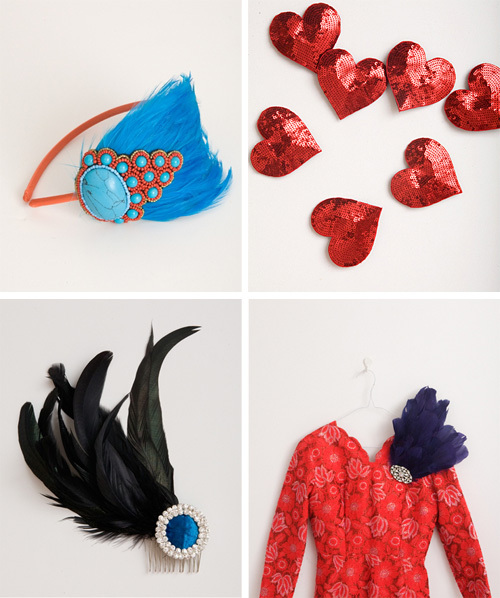 You can be inspired by so many different things from the wings of a bird to a corsage on your blouse! 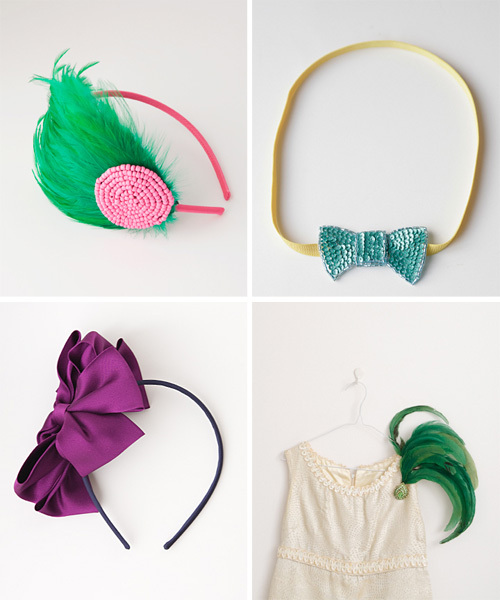 Ban.do is a small business that specializes in creating beautiful corsages and other decorative pieces to embellish your wardrobe -- it's exciting to peruse their website because you can always find something lovely but you also can find inspiration for your next decorating project! How so? 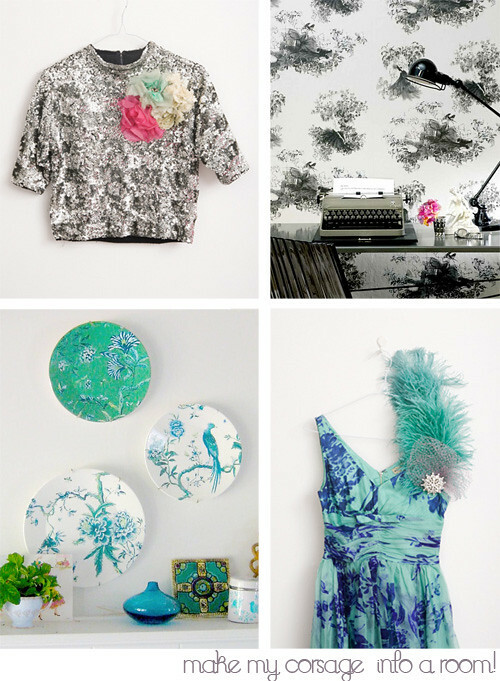 Take inspiration from the colors, patterns and textures and translate those things into a room -- it's all about letting your imagination play and giving yourself the freedom to explore something new -- who would have thought that a brooch pinned on a vintage dress could inspire a wall of plates? But it can. These images above, paired with the corsages, were not inspired by work of ban.do -- though I've paired them to appear as such. This is merely an example to support my point so that you get an idea as to exactly how this sort of thing works. Now it's your turn. Here are some more lovely things from ban.do below. Perhaps you can use them to inspire a room in a your home now, or someday? And a big P.S. 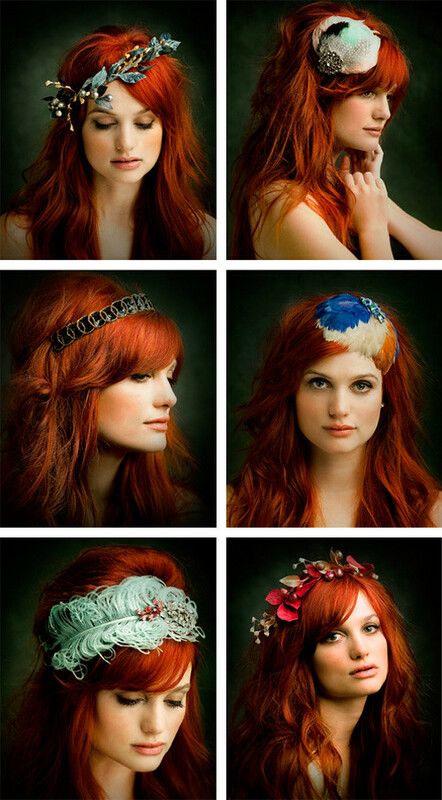 -- yes that model with the red hair is the lead singer Alison Sudol from A Fine Frenzy that I wrote about a few years ago after seeing her in concert. She is a doll, isn't she? Let your creativity run wild, inspiration is all around you if you pause for a moment to simply see it.